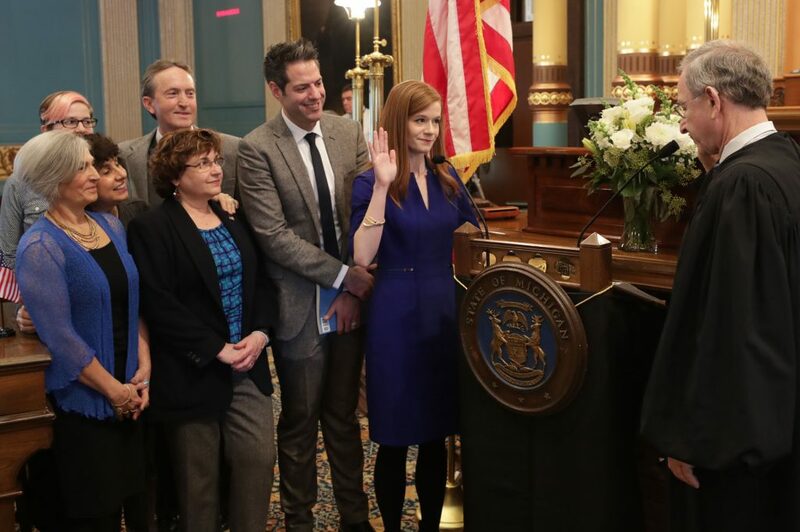 LANSING, Mich. — Sen. Mallory McMorrow (D–Royal Oak) took the oath of office today to represent the citizens of Michigan’s 13th Senate District. Sen. McMorrow named Molly Korn as chief of staff and Katie Doyal as director of legislative and constituent services. Eiley Fong and Charlaine Stevenson will serve as constituent services assistants. The 13th Senate District includes the cities of Berkley, Birmingham, Bloomfield Hills, Clawson, Rochester, Rochester Hills, Royal Oak and Troy in in Oakland County.